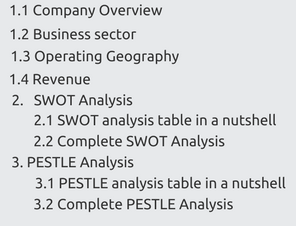 The SWOT analysis of UHG, is presented below in a nutshell. 1. Strong Financial Performance and Strategy: UnitedHealth Group has been a consistent performer in terms of revenue with reported revenue in 2016 being $184 billion and growing to $201billion in Q4 2017. The Consolidated revenues showed an increase by 9%, with UnitedHealthcare revenues increasing by 10% and Optum revenues by 9%. The earnings from operations for the group grew by 18%, including increases of 16% at UnitedHealthcare and 19% at Optum. The Diluted EPS increased by 48% to $10.72, including $1.22 per share. The company witnessed corporate dividend increases over the year by 23%. The company has observed a strong inflow of cash from 2016 rising by 39%. The company’s growth strategy is aligned to expansion of businesses through acquisitions, reinvest through capital expenditures, repay debt and return capital to shareholders through shareholder dividends and/or repurchases of common stock. 2. Diversified brand portfolio: UnitedHealth Group has four different sub-brands under its name – United health care, Optum insight, OptumHealth and Optum Rx. Each brand caters to a different segment category. UnitedHealthcare serves a wide array of customers and markets from sole proprietors to public sectors. The United Health Employer & Individual caters to provide a comprehensive array of consumer-oriented health benefit plans and services to employers and individuals. The segment provides customers like governments, businesses, Non US insures, travel insurers, a comprehensive range of health and mobilization capabilities in supporting the health systems of individual nations with advanced health care technology, financing and delivery. OptumRx’s care services include home delivery and specialty pharmacies. The segment services for 65 million people and is involved in processing of 1.3 billion adjusted retail, mail and specialty drug prescriptions annually and also licenses the pharmacies which needs to be licensed at their location. OptumRx has a network of more than 67,000 retail pharmacies, multiple home delivery and specialty pharmacies and a provision of home infusion services. Optum Insight caters to Hospitals, physicians, commercial health plans, government agencies, life sciences companies and other organizations as a consultant to provide insight and services like software and information products, advisory consulting services and business process outsourcing. Optum Health is involved in advancing the health standards of people through programs by employers, payers and government by effective health care management solutions and care delivery. 3. Strong free cash flow: UnitedHealth Group has recorded a cash flow increase of 39% over the previous year 2016 to $13.6 billion. The cash flow observed in 2017 Was 13billion as compared to 9 billion in 2016 and a similar performance in 2015 as well. The primary cash inflows which are generated from operating activities are principally from earnings before noncash expenses. Cash flows generated by the non-regulated businesses along with the dividends from the regulated ones with financing and credit facilities, further strengthen the organisation’s operating and financial flexibility. These cash flows support the company’s strategy to expand the businesses through acquisitions, reinvest through capital expenditures, repay debt and return capital to our shareholders through shareholder dividends thus strengthening the shareholder relations. The primary increase in cash flow recorded in the year 2017 was due to higher net earnings and changes in working capital accounts. 4. Substantial Strategic acquisition-based growth strategy: UnitedHealth Group has been very active in different strategic acquisitions for its different functions. Be it Joint ventures or mergers, UHG strategic acquisitions has been a core component. Some of the major acquisitions by UHG in recent times have been the acquisition of the DaVita Medical Group for $4.9bn. This was followed by the acquisition of Chilean healthcare company Banmedica SA, one of the leading healthcare companies across Latin America which also operates Brazil’s leading healthcare company, Amil for $2.8bn. For United health the diversification strategy has not only created new revenue streams but also helped in cost and profit advantages which has appealed to the growth of the insurance unit. Recently the company diversified its business by entering into hearing aid business by purchasing subsidiary of a Swiss hearing aid manufacturer. 5. Strong focus on R&D and new technologies: UnitedHealth Group has been following a consistent strategy of delivering profitable growth. To align this strategy with the market requirements, they have been investing highly in new technology and infrastructure. The average innovation revenue from 2014 through 2016 was 22 percent. There was a $500 million investment in product-related research and development from 2015-2020 to fund the long-term reduction of greenhouse gas emissions. The company has been investing in Artificial intelligence through OptumIQ. By leveraging artificial intelligence — neural networks, machine learning, deep learning and linguistic analysis the organisation is strengthening its position in the market for the future. Some more innovative solutions from UnitedHealth group are Now Clinic, one of the newest health care models from that allows patient-physician chat possible as well as allows patients to find UnitedHealth care doctors and care. OptumRx launched a new mobile application which provides reminders to patients about the medications, and prescriptions based services like refilling or transferring to mail. UNH implements IT practices to make it easier for physicians to shift away from paper-based systems. Recently Optum is launching a pilot program along with UnitedHealth which will improve data quality and reduce administrative costs associated with changes to health care provider demographic data by applying block chain technology. 1. Regulatory risks and policies: Environmental policies, climatic changes and other national, regional and international regulations and policies curtail the operations of UHG. For example, the new ACA regulation by government was a major setback for UHG which increased costs. Similarly, UHG’s pharmacy i.e. OptumRx businesses must be licensed as pharmacies in the states in which they are located. The Optum business is also subjected to federal regulations and must cater to federal safety and soundness requirements. Even the non-U.S. businesses and operations which are responsible for the conduct and activities of U.S. are subject to U.S. laws. For healthcare and insurance operations they must be licensed according to the jurisdiction in which they operate. Moreover, health insurance operations are subjected to regulations which require registration with applicable state departments of insurance. So any non-compliance to the above would affect the operations to a great extent. 2. Subject to high competition: Healthcare industry has been involved with some big players in the game like Aetna, Cigna and now amazon entering the industry. Aetna like UHG has been involved in aggressive expansion strategy through acquisitions. In 2017, the company merged with CVS which is a strong partnership to give UHG a run for their money. Similarly, well care health plans acquiring Meridian health plans for 2.5$ bn. shows that there are other players growing and the rivalry is increasing further. The company is going at a fast pace with acquisition of 1st Health Plan Arizona for $157.5 million, Arizona Medicaid assets of the Phoenix Health Plan and paying a $800 million for Universal American. Apart from this other rivals are also working on taking over the industry for example Cigna Corp. announced interest on PBMs by spending $52 billion on one of the nation’s biggest PBMs., Express Scripts Holding Co. Anthem building a PBM with help from CVS Health Corp. Many companies are even opting for direct-to-consumer business models, which may make it more difficult for UHG to directly engage consumers in the selection and management of their health care benefits and health care usage. 3. Uncertainty in market conditions: The growing uncertainty of operating environment for U.S healthcare industry owing to the ACA rules. UnitedHealth will face challenge and pressure due to change and uncertainty of whole health care system as due to ACA there will be greater regulation, transparency and competition to managed care industries. In 2016, UHG already suffered huge losses owing to Obamacare plans. These regulations further pose a high risk for UHG as well as its competitors. ACA will increase the prices of insurance plans thus asking customers to pay premium which may prove detrimental to the service providers thus young customers are being lost and premium customers use special enrolment periods to sign up for coverage as per their special requirements only. 4. Shortage of healthcare professionals: One of the major concerns in US health care industry is the shortage of healthcare professionals. And this is a rising wave in recent times. As per WHO, a global shortfall of 12.9 million healthcare workers by 2035. As per CDC, in 2012 50% of adults in the US which amounts to around 117 million people suffered from one or more chronic health conditions. Eighty-six percent of annual health care spending is towards the one who are suffering with one or more chronic conditions. As these chronic diseases is in the rise, this becomes one of the main reason for the shortfall of healthcare professionals. Some of the major factors which lead to this concern are lack of modernisation of health training education, lack of generalists and focus more on specialists. Moreover, the current fee-for-service system incentivizes quick-turn doctor visits (the average PCP visit includes about 8–12 minutes of face time). There is no transparency in HIPAA regulations; hence the fear of unintentionally violating these regulations makes the path to an effective service an obstacle for companies such as UnitedHealth Group. The PESTLE analysis of UHG is presented below in a nutshell. 1. Focus on creating sustainable technology developments: Growing concern of health and environment issues efficient technology has disrupted health care industries. Moreover, to a position in the strong rival driven market, companies need to continuously focus on product innovations and technologies. With a diverse industry as health care there is a need of creating a sustainable strategy on the grounds of data and information by having access to data and the technology needed to share, store and analyse. This will facilitate powerful linkages across the health care continuum and also allow all health care participants to overcome barriers to information sharing and communications. Stakeholders like payers, providers and patients can obtain and use data to make accurate and efficient decisions through proper technology. 2. Increasing focus on digitization: Consumer buying behaviors across various industries are continuously evolving. Consumers are switching to more convenient ways of product accessibility and availability. So companies are shifting to multi-channel product positioning. UHG has been opting to improve its offering and product availability by opting for online channels. UHG has been active in infusing artificial intelligence into its product and services. Through OptumIQ it is providing extensive data based on healthcare expertise, data analytics backed by artificial intelligence and curated clinical data. Through Pre check my script the providers have real-time visibility into patients’ drug benefits thus making the service more efficient. Physicians can either prescribe an alternative drug or authorize a file electronically. The system is so customer oriented that once the physicians authorize they receive instant notification regarding approval. Thus saving time, cost and improving efficiency of operations. Aetna, Cigna, Humana, Anthem, Blue Cross Blue Shield. Banmedica Health insurance 2018 Acquisition Will help in expanding UHG’s footprint in South America. 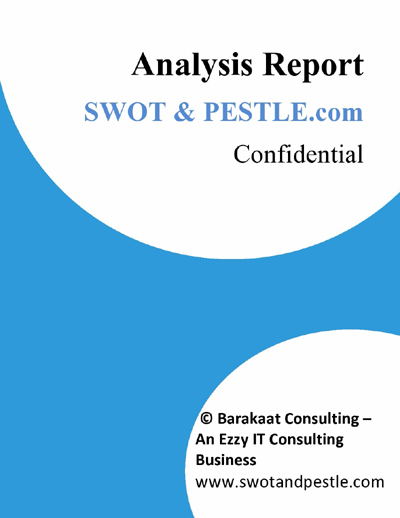 UnitedHealth Group SWOT and PESTLE analysis has been conducted by Soumya Surya Adhikari and reviewed by senior analysts from Barakaat Consulting. 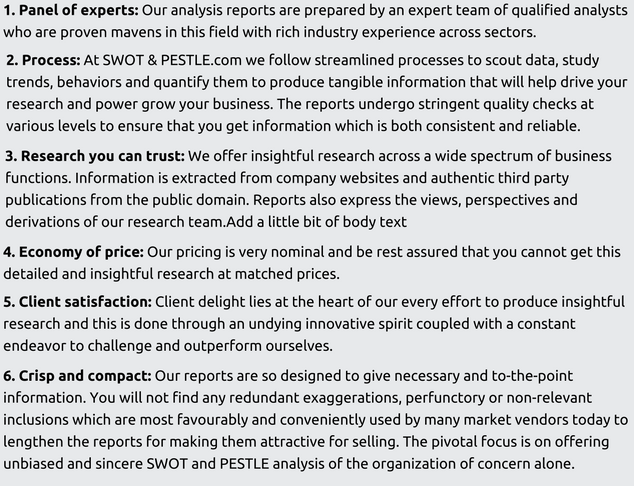 Copyright of UnitedHealth Group SWOT and PESTLE Analysis is the property of Barakaat Consulting. Please refer to the Terms and Conditions and Disclaimer for usage guidelines.